A typical Mortgage runs for 25-30 years and there is huge potential for the banks and lenders to make a lot of money from you. Buying a home will most likely be the biggest purchase we all make and therefore one which should be planned effectively. We provide sensible mortgage planning, and by reviewing your options regularly we ensure you pay as little as possible for your mortgage throughout the period. We are truly independent in our approach to mortgage planning and will search the entire market to find the most suitable mortgage for your needs. If that means directing you to a lender that does not provide mortgages through intermediaries then we will advise you to apply directly with the lender concerned. However, we will still provide ongoing management of the application through yourself in order to ensure that the actual mortgage you are receiving is the most suitable. 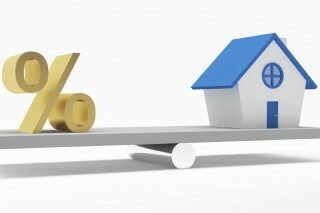 Your Mortgage Planning or Debt Management is another form of savings and investment and we will work closely with you to organise and implement a financial plan that is efficient in ensuring you are spending as little on your mortgage as possible while gaining as much interest or growth as you can on your savings and investments. We have been specialising in financial planning for Doctors for a long time and are experts in presenting your cases to lenders who may not fully understand the pay structures involved. Whether you are a Junior Doctor, a Consultant or GP, we can ensure you are never offered less than you should be entitled to. For a quotation please don’t hesitate to Contact Us for a no obligation initial consultation over email or telephone.